If you are looking for the best help for cocaine addiction then then let previous clients of Debbie Williams tell you their own story. We believe it is the most effective and affordable help to break your addiction to cocaine and its not just us saying its the best help for cocaine addiction around. Anyone can write testimonials on a website, but you cannot fake real people telling their story. Here is testimonial number 11 of many. Most clients do NOT want to go on camera, so these are just a small example of the 1000’s Debbie has helped over the years. Many clients have tried regular hypnotherapy and its not helped them. They may feel relaxed but the method Debbie has developed over the last 20 plus years is really effective in breaking the hold (and paranoia) that a cocaine addiction creates in you. Debbie teaches students to become hypnotherapists at Regents College London as well as running regular NLP & Hypnosis Practice Groups in Birmingham. She is the hypnotherapist and NLP trainer that Paul McKenna recommends. What Will It Cost Me To Overcome My Cocaine Habit ? One or two more sessions are needed for some but even then it will come in under £900 which is less than rehab for cocaine addiction and any other services out there. We then get a 95% success rate. The 5% that this method doesn’t fully work for are normally clients sent by partners/family members or work has paid for them and the commitment is not always there. That said, we still are able to help most of them get to a point of wanting to stop. We give them helpful tools and strategies and we get emails months later that many do stop on their own when they are ready. How Do I Book A Treatment Session For My Cocaine Addiction ? You can call us on 0121 241 0728 or book a session to break free from cocaine abuse online here. Because the initial outlay is £297 which you can pay by credit card and then you pay as you go, many find as they stop the monies saved pays for their treatment. This chap had been to different hypnotherapists and NLP people also had various specific phase frequency treatment and other treatments which worked for a few days and then he was back on it but cost him £1000’s and he was still addicted to cocaine. 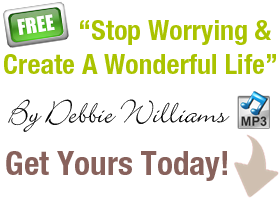 Debbie does try to work within your budget and does offer some concessionary places each month. What Happens In A Session To Help Me Get Of Cocaine? Here Debbie talk about what will happen at her Birmingham Cocaine Addiction Help Clinic. Of course each individual has unique needs that Debbie will address within sessions. At the end of each session, Debbie records a hypnotic trance to capture what has been achieved within your session and for you to have to listen to in-between sessions to strengthen your resolve to quit. She also has a self help option which if listened to over and over will help you break free from your addiction to cocaine. This is only £19 to download and comes with a 60 day money back guarantee. A one to one session will always be more effective as it is geared up to you. She gives you this download as well as extra support. Here are some more videos for you to watch from real people who have come for treatment to overcome their cocaine addiction. Bookmark this page and research what help their is to quit cocaine before you decide where you want to go. As we have said previously anyone can write convincing testimonials on a website, but you cannot fake real people. Click the video to watch on youtube and search Debbie Williams Cocaine Help Birmingham to see even more videos and helpful tips to stop abusing cocaine.